InSSIDer portable is a program for scanning wireless networks operating systems Windows. With it you can learn MAC-address of each network device, type of protection, the quality of the transmitted signal, the communication channel, and more. This is a great tool for finding faults and unwanted users within the wireless network. The program is loved by millions of people around the world. 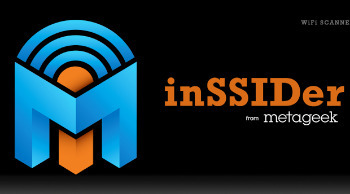 InSSIDer measures the signal strength of available wireless networks and calculate their performance and throughput. With it you can learn how to affect the quality of communication objects that occur in the path of the signal, such as walls or doors, as well as learn the coverage with these disturbances. All wireless networks use a specific channel (frequency) for transmission of data. In case if there is more than one network, and they all use the same channel, it can significantly affect the data rates of all networks in range using the selected channel. InSSIDer will determine which channel is used less often. With this program, you can determine which security settings are used on the wireless network and whether they are optimal. This will allow to reconfigure it and prevent unauthorized access. This Wi-Fi network discovery tool displays every wireless hotspot’s MAC address, encryption, signal strength and channel, and is the standard troubleshooting tool for millions of Wi-Fi users throughout the world. inSSIDer for Home helps you measure the signal strength and estimate the performance of your Wi-Fi in various locations. See how walls, stairways, and doors affect your wireless network coverage. All Wi-Fi must share channels with other networks in the environment. Too many networks sharing or overlapping a channel can slow down the performance of all Wi-Fi networks on that channel. This Wi-Fi scanner helps you see the best channel for your Wi-Fi. inSSIDer will help you determine which security setting your Wi-Fi is using, reducing the risk of unauthorized access into your home network.